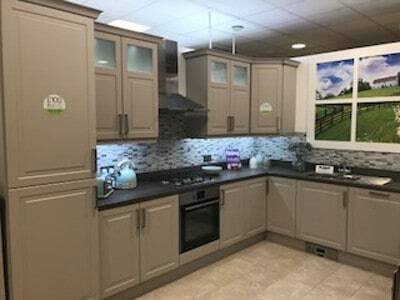 Kitchens Dungannon - 5 ways to make the most out of a small kitchen. So what if you have a small kitchen? It may not be the end of the world if you know how to make the most of the space that you have. And that’s what we are here for. We’ve compiled our top 5 tips to making the most out of small kitchens Dungannon. Go light and bright! Using white/light colour schemes gives the illusion of more space. High gloss finishes are especially good at bouncing light around a room to increase the feeling of space. But make sure that you’re also maximising your use of natural light rather than artificial. So avoid using your curtains or blinds as much as possible and let the sun stream in. Be brutal and declutter! Do you really need so much stuff on your countertops? Do those knives need to be in a knife block instead of in the cutlery drawer? If you don’t need it on the countertop desperately, then find somewhere else to store it! Think outside the kitchen when it comes to storage. Do you really need your washer and dryer in the kitchen? Or could you house them somewhere else and maybe create a utility room instead? Appliances are obviously a key component in your kitchen, but if you really want to save space then why not look into integrated and built-in appliances? They’re a great way of freeing up space! If you do get integrated, the illusion of uninterrupted cabinets makes the kitchen feel roomier. And finally, don’t forget the wow factor!! Just because your kitchen might be lacking in size, it doesn’t mean it has to be lacking in style! And if you don’t want your fitted kitchen to lack in style, then get in contact with one of our kitchen design team today and let them do all the hard work, no matter what size your kitchen is!